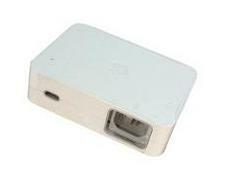 This can also be used as a replacement for the 65 Watts Power adapter for 20" Cinema Display with pat number 661-3360. No power cord included. You can use the old one you have or you can order part number 922-6529EE Code XQ3 661-4379 Compatible Macs 23 inch Cinema Display 661-4379 Mac Part for 23-inch Apple Cinema HD Display (A1082-DVI Late 2005-M9178LL/A), 20-inch Apple Cinema Display 661-4379 Compatible Models A1082 661-4379 Related Part Numbers A1097, 611-0454, 611-0476, 661-3370, 661-4133, 661-4379 661-4379 Compatible Mac Family Cinema Display (23-inch DVI Late 2005), Cinema Display (20-inch DVI) 661-4379 Mac Part Notes Cinema Display (23-inch DVI Late 2005), Backward compatible with Cinema Display (20-inch DVI) .